Choosing an Orthodontist for you and your family can be a pretty daunting task—after all, it can be a very important and even life-changing decision. The Orthodontist you choose will directly affect the outcome of your smile and the overall improvement of your dental health. That’s why it is so important to take the time to research and learn more about what information you need to choose the best Orthodontist for you and your family. To help kick-start this process and save you time researching—because we know there are a million other things you need to be doing—we’ve put together the key information you need to make this important decision. Orthodontics is the study and treatment of malocclusions (improper bites), which may be the result of tooth irregularity, disproportionate jaw relationships, or both. Orthodontic treatment is used to straighten and correct malocclusion, creating beautiful smiles and healthier mouths that prevent premature wear and decay. Examples of common orthodontic treatment options include: metal or ceramic braces, Damon System “self-ligating” braces (both metal and clear), palatal expanders, Invisalign aligners for adults and teens, and retainers. Why is Orthodontic treatment such a great investment? The greatest investment you can make is in your family’s health. Since oral health has a strong tie to general health, investing in Orthodontic treatment is an excellent decision that offers a lifetime of benefits and is more affordable than ever before! One great benefit of treatment is a beautiful smile, however the best benefit is having correctly aligned teeth that eliminate hard-to-reach areas, and prevent the premature wear, chipping, cavities and gum disease caused by malocclusion. Another benefit of treatment is a properly aligned jaw, which is key in avoiding jaw pain, earaches and headaches. Over a lifetime, orthodontic treatment saves you time, money, and more importantly the pain and discomfort associated with poor oral health. By investing in your family’s oral health you are investing in a lifetime of great health and wellbeing—and that, I believe, is a great investment! When’s the best time to see an Orthodontist? The American Association of Orthodontists (AAO) recommends that an initial orthodontic evaluation occur at the first sign of orthodontic problems or no later than 7. At this early age, treatment may not be necessary, but vigilant examination can anticipate the most advantageous time to begin treatment, ensuring the greatest result and the least amount of time and expense. However, if you or your loved one have never been to an Orthodontist, it is definitely worth your time to make an appointment and see if your teeth are correctly aligned for achieving greater oral and overall health. 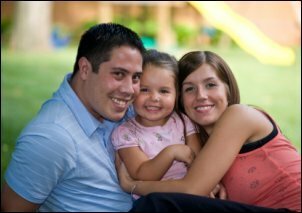 How do you find the best Orthodontist for your family? Once you have a list of potential Orthodontists, check out their websites to learn more about their practice and create your list of questions to ask them. Do they offer the latest orthodontic technology (i.e. self-ligating brackets, digital x-rays, digital impression scanning – the most accurate tool for creating appliances such as Invisalign)? What services do they offer and are they specialists in those areas? What services does the orthodontist perform vs. the staff?Do they offer a thorough and informative complimentary initial examination? How many days/week is the Orthodontist available (many Orthodontists work in 2 or 3 offices greatly reducing their availability)? Do they offer interest-free financing? What awards and distinctions have they received? Where did the doctor receive training (was it from a top university program), and does the doctor have adequate experience? Does the doctor have patient reviews or testimonials? Reviews can give you great insight into the practice and the results you can expect. Other important questions include those regarding your individual needs and concerns, treatment options (is the doctor willing to perform limited tooth movement vs. entire mouth treatment) and what their emergency availability is. How you actually choose your Orthodontist boils down to what’s most important to you and your family. Some considerations are experience and expertise, personality, level of trust the doctor inspires, how well they listen, their level of compassion, and how great of a teacher they are; a great doctor makes you feel more comfortable by clearly explaining everything. Ultimately, the best Orthodontist for your family is one who truly cares about your family’s oral health and takes care of all your family’s orthodontic needs, while providing excellence in orthodontic care and service.